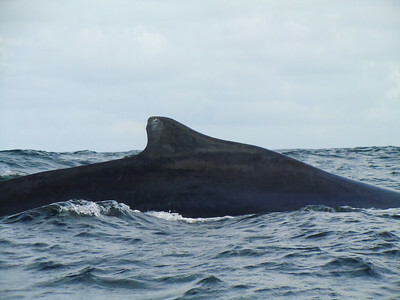 Humpback whale dorsal fin in Samana Bay. 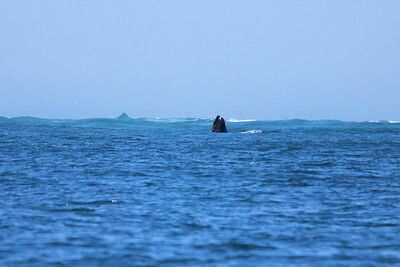 Humpback whale flukes in Samana Bay. 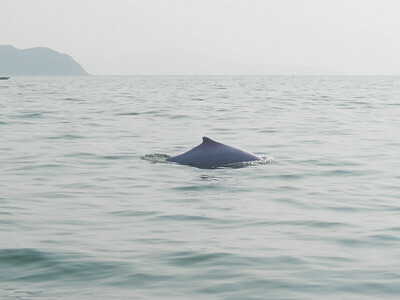 Chinese white dolphin in the Zhujiang River Estuary. 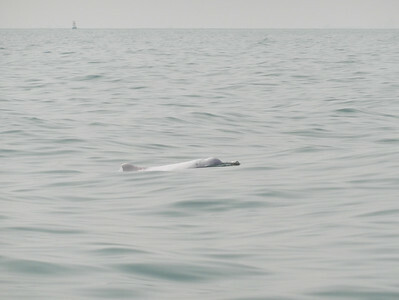 Chinese white dolphin, with a pinkish hue, in the Zhujiang River Estuary. 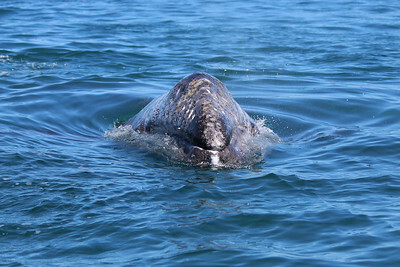 Baby gray whale in Laguna Ojo de Liebre. 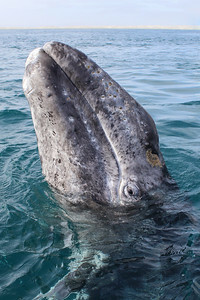 Gray whale in Laguna Ojo de Liebre. 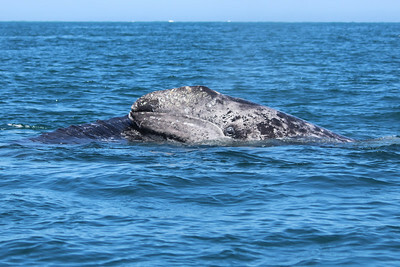 A baby gray whale rests on its mother's back in Laguna Ojo de Liebre. 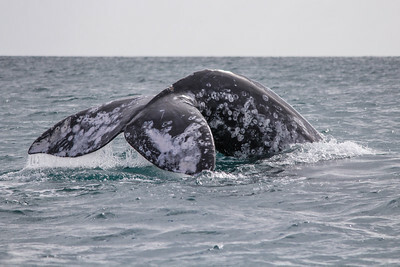 A gray whale waves its flukes in Laguna Ojo de Liebre. 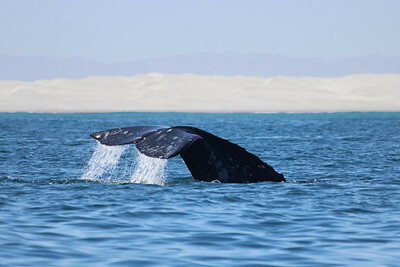 Baby gray whale flukes in Laguna Ojo de Liebre. 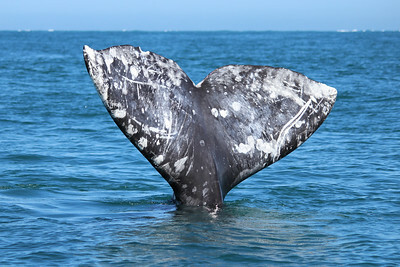 A gray whale raises her flukes for a dive in Laguna Ojo de Liebre. 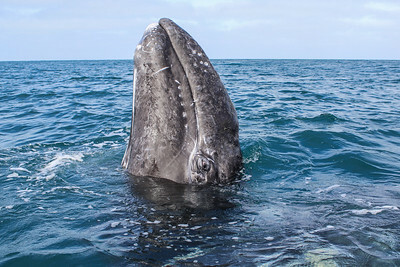 A gray whale spyhops at the mouth of Laguna Ojo de Liebre. 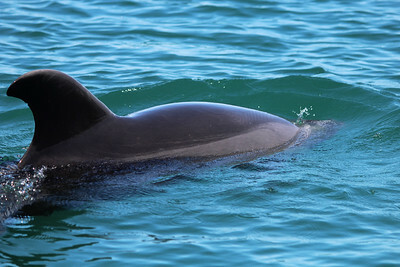 Striped dolphin in Laguna Ojo de Liebre. 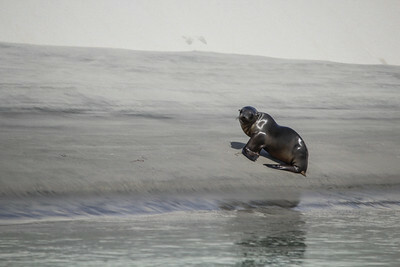 A California sea lion takes a dive in Laguna Ojo de Liebre. 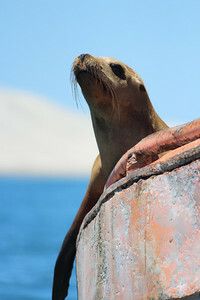 A sea lion looks up from a nap in Laguna Ojo de Liebre. 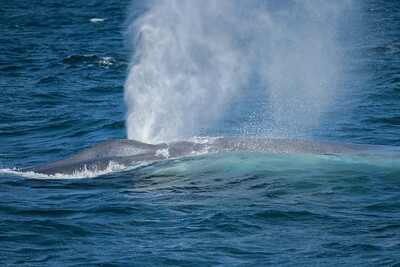 Blue whale along the Big Sur coast. 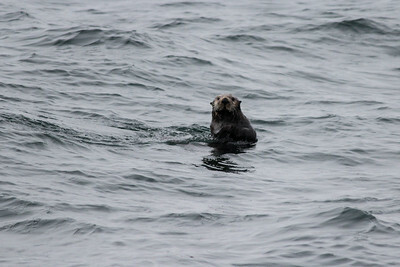 Sea otter in Morro Bay. 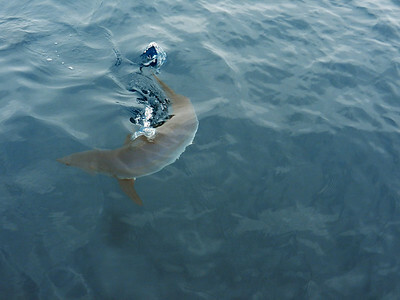 Mako shark offshore near Catalina. 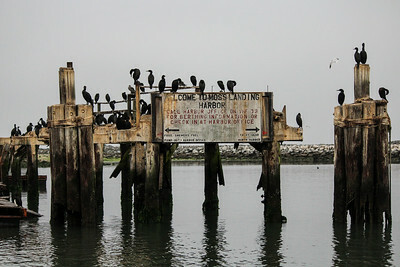 Cormorants watch as our boat departs for Monterey Bay. 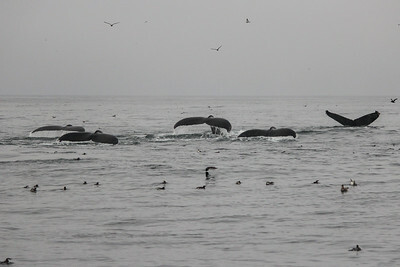 Synchronized diving humpback whales in Monterey Bay. 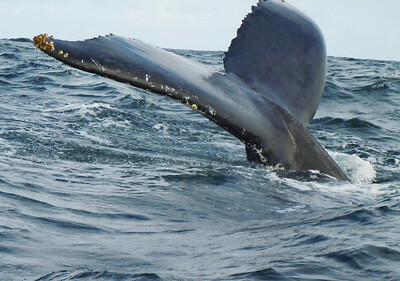 Humpback whale flukes in Monterey Bay. 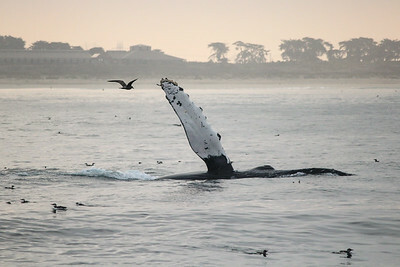 Humpback whale breaching in Monterey Bay. 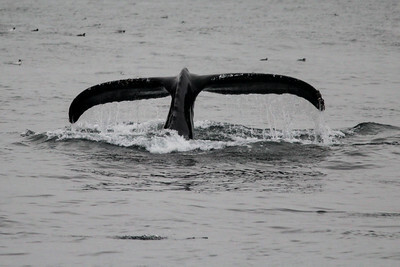 Humpback whale fin slapping in Monterey Bay. 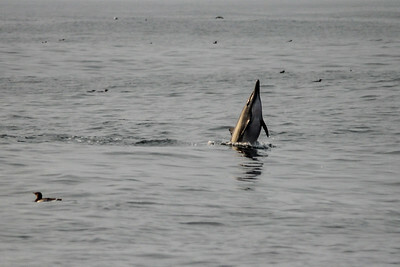 Common dolphin porpoising in Monterey Bay. 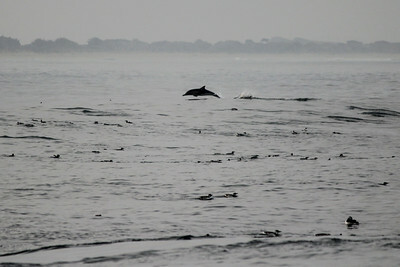 Common dolphin spyhopping in Monterey Bay. 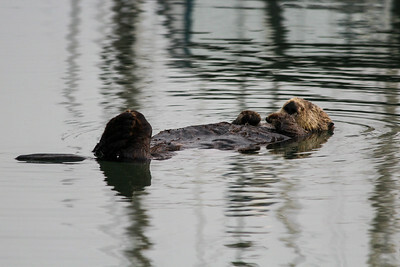 Sea otter in Elkhorn Slough. 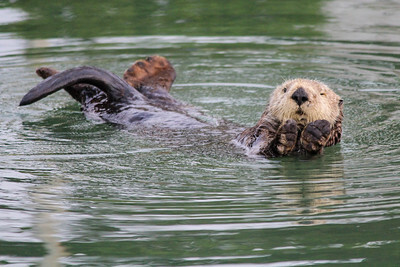 Sea otter waking up from a nap in Elkhorn Slough. 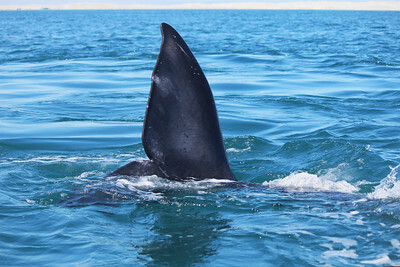 Baby gray whale spyhops by our boat in Laguna Ojo de Liebre. 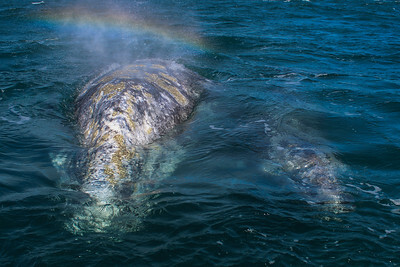 A spout forms a rainbow over a mom and baby gray whale in Laguna Ojo de Liebre. 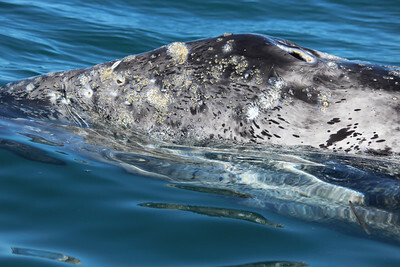 Baby gray whale spyhops in Laguna Ojo de Liebre. 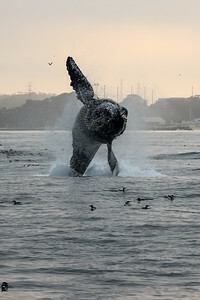 A gray whale dives in Laguna Ojo de Liebre. 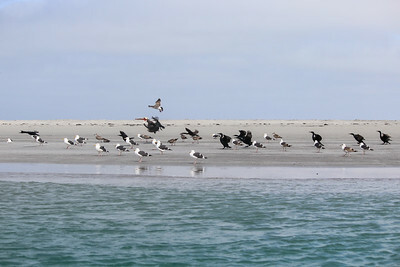 Sea birds prepare to take flight at Laguna Ojo de Liebre. 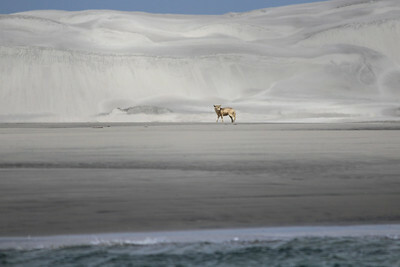 A coyote walks along the shore of Dunas de Soledad. 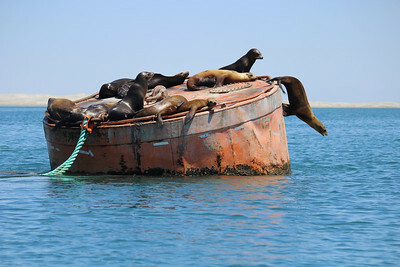 A sea lion climbs out of the water at Dunas de Soledad. 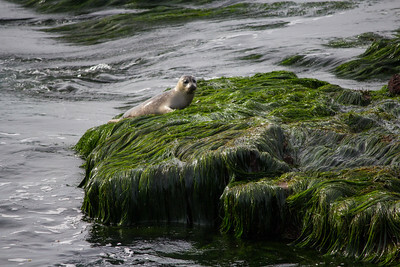 A young harbor seal hauling out at La Jolla Tide Pools. 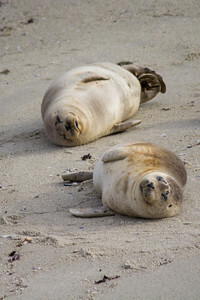 Baby harbor seals bask in the sun at Children's Pool. 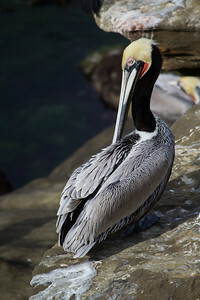 Brown pelican preens on the cliffs by Children's Pool. 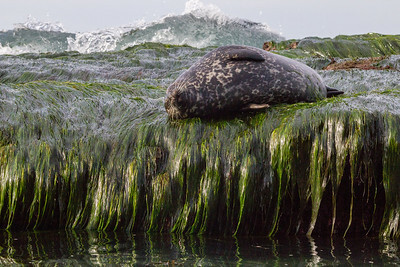 Harbor seal resting at La Jolla Tide Pools. 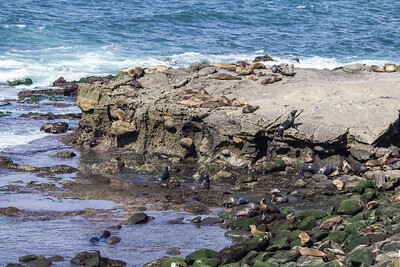 Sea lions haul out at Boomer Beach.